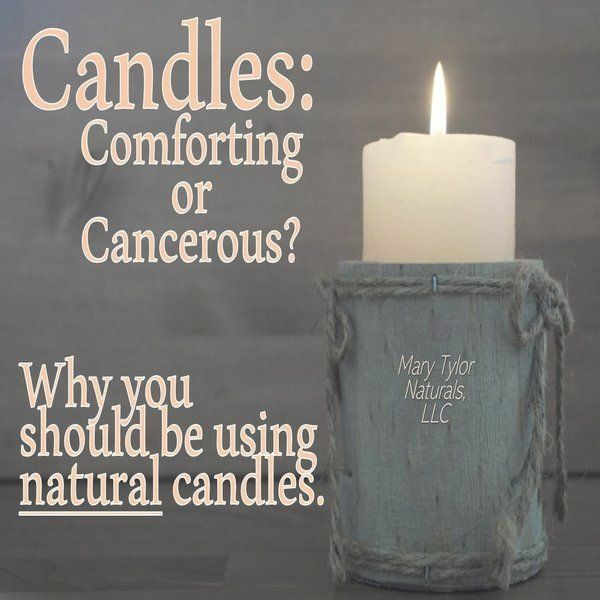 Candles: Comforting or Cancer Causing? The University of Michigan released a study that revealed 30% of candles contained lead. When lit, these candles emit toxins into the air and we inhale them. Our lungs can easily become damaged when exposed to led, so the safety of lead containing candles is definitely questionable. The Safe Drinking Water and Toxic Enforcement Act of 1986 passed in the State of California revealed that there are at least seven major toxins in paraffin wax. Paraffin wax falls into the category of toxic chemicals known as petrochemicals, which are byproducts derived from petroleum. Yes! Petroleum, which includes fuels such as gasoline, kerosene, and diesel oil. So essentially, when you are lighting a paraffin wax candle you are allowing gasoline-like toxins to enter the air in your home. Fortunately, there are natural replacements for the toxin filled candles in your home. Beeswax candles are a natural, safe alternative you can add to your household instead. Mary Tylor Naturals, LLC proudly offers organic beeswax which can be used in a variety ways, including homemade candles! Replacing the toxic chemicals we are exposed to is a critical step into achieving optimal health. Beeswax is an all-natural, yellow or dark brown wax secreted by honeybees. It can be used to replace the toxins in beauty products, polishes, creams and even candles! If you are looking for a safe alternative to toxic chemicals, homemade beeswax candles are a great substitute with amazing health benefits. Mary Tylor Naturals, LLC offers high quality beeswax that is sure to improve your life!